Welcome to Quiz On Demand. First time here? Quiz On Demand – Do you want to see more? on running your own quiz night! Quiz On Demand. 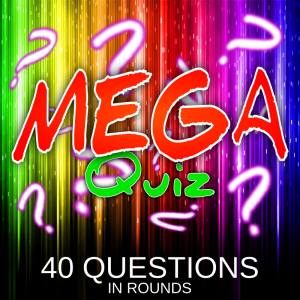 The best fun pub quiz questions and quiz games on the net. We write and produce nine great fun pub quizzes every week. The pub quiz questions are fun and suit a mixed crowd. 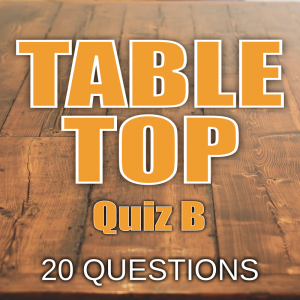 The ever-popular Table Top quiz hand-out rounds, gets your quiz night off to a great start. They include Catchphrase and Spellbound each week, and features Dead or Alive, Our Survey Said…, Mystery Year, Alphabet Soup and Chart Toppers on alternate weeks. 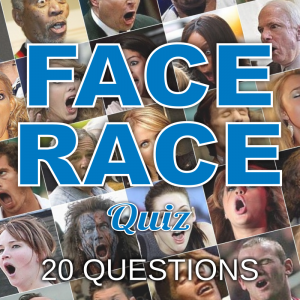 We also have the popular Face Race picture quiz, that always goes down a treat. 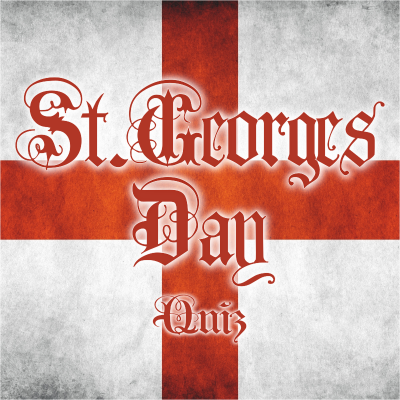 All the quizzes are written and produced each week, so they are fresh and bang up to date. If you are thinking pub quiz questions and quiz games think Quiz On Demand. Welcome to Quiz on Demand! the new home of the Quiz Supplies website. The same great fun quiz questions and the Table Top hand-out rounds, all ready to download and print RIGHT NOW! You can buy a one-off quiz package made-up of any of our great weekly quizzes or subscribe to a 13-week package and save a few £££. 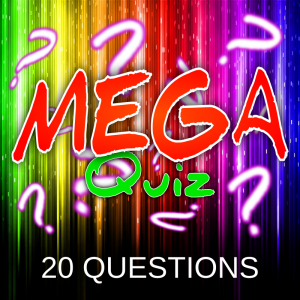 All quiz questions and quiz games are instantly available to download. NO emails to wait for, you simply print your quiz package straight from this website. 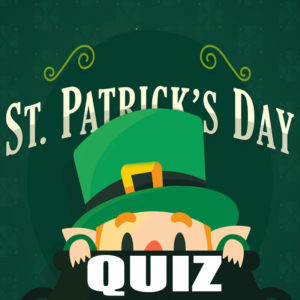 This week’s quizzes are available RIGHT NOW! A new fun, easy and engaging round for your pub quiz or alternatively a whole new Pop Bingo night. It’s BINGO with singers and bands replacing the numbers. Each player/team is given a bingo-style sheet on which are the names of 20 artists. The DJ/quiz host plays from a list of 50 selected songs, the players simply mark-off the artists as they hear them. Play for a line and then a full house. 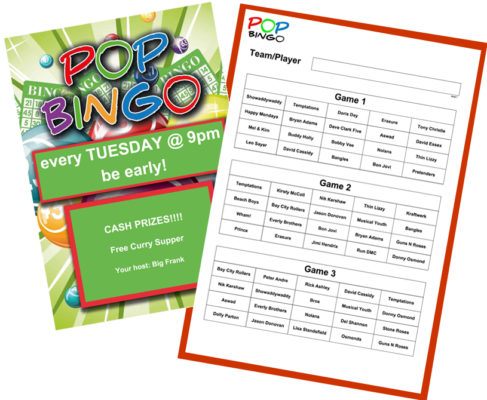 Custom build your Pop Bingo sheets to suit your players age groups and musical ability. Great fun for everyone. Click here for more info. Pop Bingo makes a terrific fundraising night. Ask for donations as prizes then sell the Pop Bingo sheets to raise funds. Best to use 3 games per sheet and sell them per sheet. A fun, engaging night with a few £££ raised for a good cause. 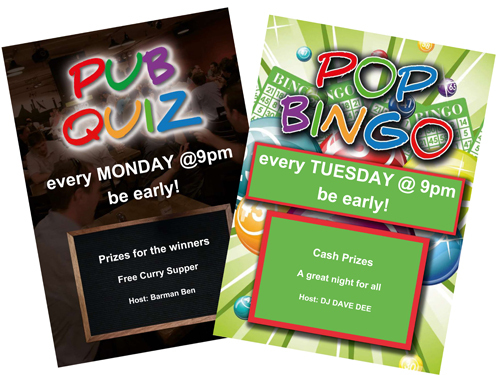 And don’t forget your FREE posters to promote your Pop Bingo night. CLICK HERE and get creating your new Pop Bingo posters straight away!!. If you need any further information or any help using Quiz On Demand, or hosting a Quiz or Pop Bingo night, please get in touch… anytime! 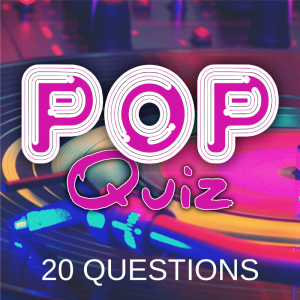 Pop Bingo – The latest bingo-style music quiz! Design your own posters for FREE and print them straight away!!! Give the Blockbusters Answer Sheets a go! Download your own FREE Blockbuster Answer Sheet here.